Friday 26th April, 9.20 am – cremation and committal at Markeaton Crematorium, Derby – all welcome. Saturday 27th April 5.00 pm – thanksgiving at Parwich church and then afterwards at the Memorial Hall, Parwich for a time of celebration of Cathy’s life – all welcome. Many thanks to all those who helped us make this years race day a roaring success. Thanks to all those who bought and sold ducks and those who made some fantastic rafts!! Thanks to Rob and Emma for judging the rafts. The winners of the raft race were Jane Gerrard and Ian Bradshaw. Thanks to John Lord for providing us with these excellent photographs from the day. 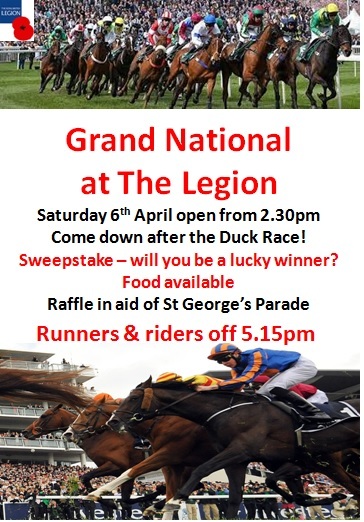 All the money raised from the duck sales goes towards funding our St. George’s day parade on April 28th – hope to see you there. Are you interested in an apprenticeship, or know anyone who might be? At the moment there are business administration and health and social care positions. More vacancies will be released over the next couple of weeks and we’ll let you know when they become available. Anyone over 16 can do an apprenticeship. So whether you’re just leaving school or are looking to train in something new, an apprenticeship could be the way to go.